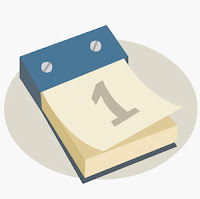 After I spent July writing a novel, with a daily word count target, I have decided to set myself a new daily challenge: I am going to write a blog post every day in August 2011. I have been writing this blog for three years now, and most months have failed to reach my intended target of 4-6 blog posts. Sometimes I think of a good subject for a blog post, but then never get round to writing it. There have even been several books I read and planned to review, but by the time I remembered that I hadn't written the review, I had already read something else and had sometimes forgotten what I had planned to say. This month, I hope to find enough interesting subjects to blog about. It will be an experiment in discovering the sort of topics I would enjoy writing about, and if I get any feedback from readers of this blog, this will help me learn what you would like to read. Doing something every day for at least three weeks is considered one of the best ways of forming a new habit. I know this has worked for me in several instances. A few years ago, when I started visiting the dentist regularly after years of neglect, I learned to start using dental floss in addition to brushing my teeth. At first, this extra step seemed like a burden, but now my routine is not complete without it. I think it became a habit after I managed to floss every day for three or four weeks. Habits are mental shortcuts. When we do things habitually, it saves a bit of mental energy on thinking and deciding what to do. Habits become automatic, part of how we behave almost instinctively. Here are some good habits to adopt: Brushing and flossing teeth, looking both ways before crossing the road, getting ready to pay while still waiting in the queue (line), always checking emails before sending to make sure they are addressed to the right person, checking the spelling of everything you write (not just using the automatic spellcheck, but by reading it again), and keeping water with you to drink frequently throughout the day. The habit of writing something every day is very important to me, as I have always wanted to be a writer of both fiction and non-fiction works. This blog is part of my non-fiction writing, and by getting into the habit of writing something here every day, I hope to acquire the habit of writing every day for the rest of my life, which should improve the quality of my writing as well as the quantity. If any readers have suggestions for blog topics, or wish to share stories about acquiring habits, please comment below!